The full day workshop on leadership qualities and personal development was aimed at counsellors from the 11 Dilaasa centres across Mumbai. 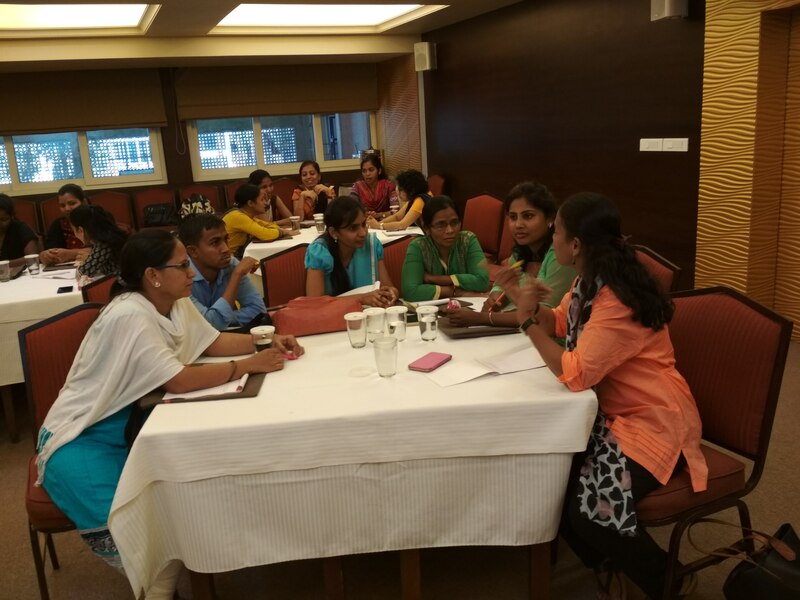 The session for the 22 participants was conducted by Renu Nargunde. 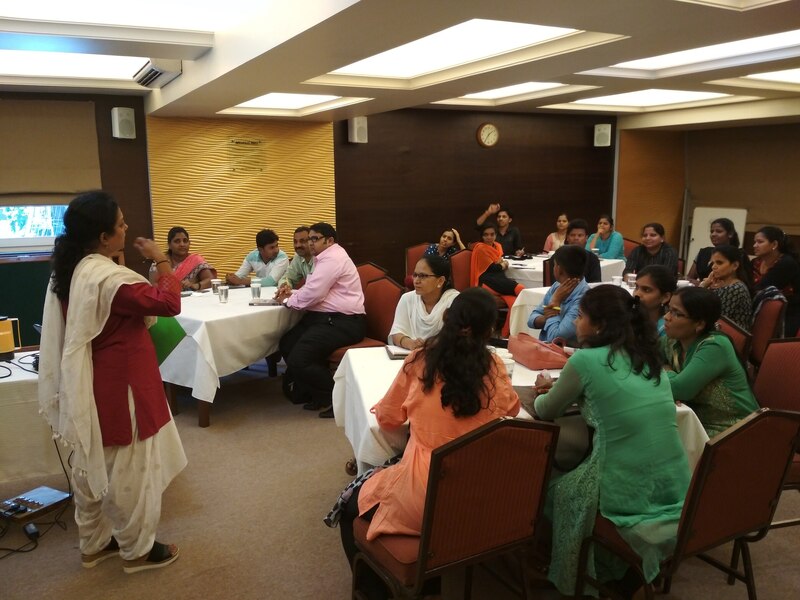 The workshop was aimed at enhancing self-awareness among counsellors, as well as improving their interpersonal relationship skills to build enriching relationships. Participants were shown a video to emphasize the concept of leadership. It was asserted that leadership is not something you need to be born with, and it is a quality that can be learnt. The position of the first follower is far more influential than that of the leader. Participants were then asked to list qualities of a leader in their profession, based on three categories of knowledge, skills and attitude. Counsellors believed that a leader should be well-read and possess in-depth knowledge of the subject, should have good communication skills, be trustworthy and softspoken, and so on. They were then divided into three groups where they had to create a visual representation of the previously discussed qualities. The first group drew a picture of the sun, which looks at everyone equally, and doesn’t distinguish. The second group drew a picture of a girl, as symbolic of the leader. The third group drew interconnected circles with one important quality listed inside each circle. The exercise helped people gain an insight into their own personalities, as well as how they were perceived by others. People who had more qualities listed in the ‘open’ section are usually more extroverted and open to criticism, whereas those with more qualities in ‘hidden’ are more secretive and reserved. People with more qualities in ‘blind’ were said to be more talkative and listened very little. Counsellors were divided into pairs for an exercise on active listening. 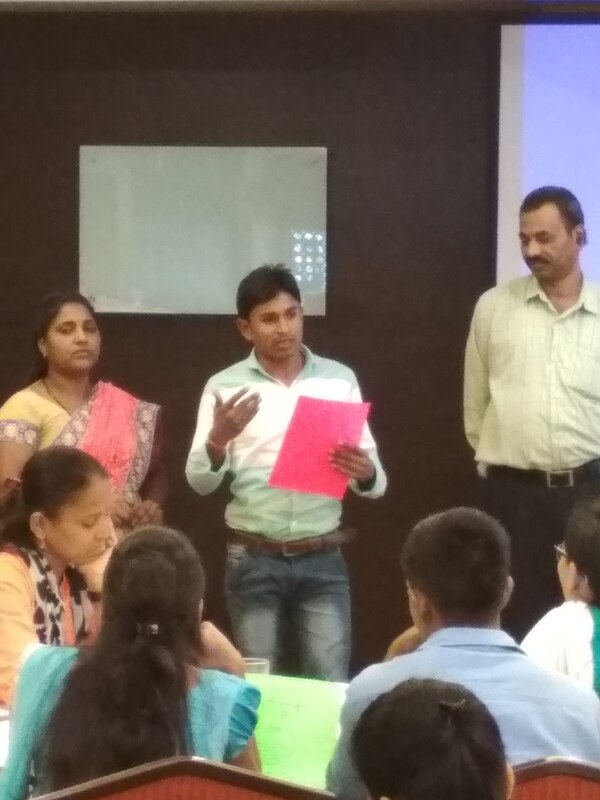 They learnt through roleplaying situations that even counsellors are observed by their clients. Making small amendments in listening behaviour could affect the other person’s openness and willingness to speak. They were also given advice on how to listen actively. Participants were also taught about conflicts and different ways of conflict resolution. Counsellors found the activities enlightening and got to know their own personalities better. Through the interactive sessions, they also felt better equipped to handle daily situations. Overall, the workshop was received in an overwhelmingly positive manner.